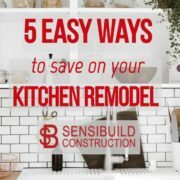 Windows can be a huge money saver in the long run, but they’ll still be useful in the immediate future. With the colder weather coming, your windows can be the most common exit point for heat. It’s not just poor insulation or cracks around them, either: if they’re single-pane windows with no insulation, the frigid outside temperatures will have a huge effect on your indoor temperatures, forcing your HVAC to run harder and causing bills to skyrocket. Double-pane windows provide insulation, trapping air between the two panes of glass and adding an extra barrier that prevents the cold from affecting your home’s internal temperature. This can make a massive difference in energy expenditure, and double-pane windows can save you up to 24 per cent on costs! 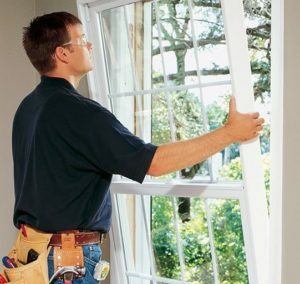 Even if the larger windows in your home have been renovated, make this upgrade on every room in the house. A fireplace can’t just be used haphazardly whenever you want to feel cosy. Your chimney has to be cleaned and inspected before you can light up those logs on a chilly evening. If you simply forgot to have your chimney looked at during the summer, do it before the temperature “falls” too much! 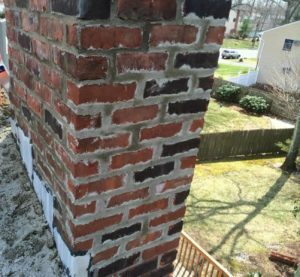 Having your chimney repaired and cleaned isn’t just routine maintenance; it’s an important safety measure. The build-up of creosote, a combustible black residue that can line a chimney after using it for a season, can catch fire and cause cracks. Intense heat can escape, igniting flammable materials like the wooden frame of your house. Have those cracks repaired and your chimney swept out to keep your family warm and safe. 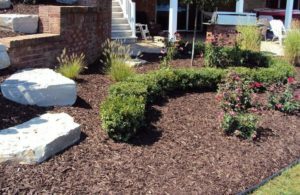 Landscaping and renovating your outdoor living space will make the transition to winter a lot more enjoyable. Build or add onto your deck with a shelter to keep precipitation and leaves away while enjoying the crisp weather. You can also make sure that it is prepped and ready for whatever the winter weather will throw at it, so sand, finish, and replace any boards that need it. You won’t want to slip and fall on a broken or damaged board you can’t see beneath the winter snow! Really, if you’re only using your outdoor space in the summer, it’s going to waste. Make small changes with a focus point in mind – a new outdoor fire pit, a garden of fall-weather flowers, or even a hot tub. It’ll keep the party going and help you get out of the house! Ever heard of hygge? Or maybe lagom? These words are Danish and Swedish respectively, meaning approximately the same thing: an authenticity and cosiness to every part of your home. Renovating with these principles in mind can make fall and winter your absolute favourite seasons! It can be fairly small: painting rooms in warm colours and/or using reclaimed or natural wood to accent parts of your home doesn’t require a huge change. However, fall is a great time to redo a lot of your home with lagom in mind. New flooring can remake your home in time for when you’ll spend the most time enjoying it, and it’s great to do it before the winter temperature changes affect the material. Remodel your kitchen with warm woods and cosy colours. You’ll quickly see that cosiness looks great even when spring eventually returns!